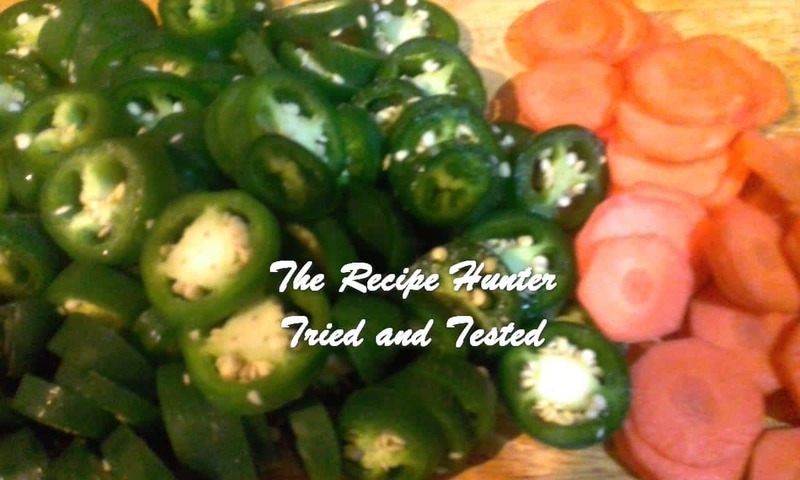 This recipe was given to me by a Texan friend and it has carrots in the jalapeno something I hadn’t thought of. His mum’s recipe and they are the best ones. The carrots taste lovely pickled with the jalapeno. 10 large jalapeno sliced into rings. Combine water, vinegar, sugar, salt, garlic and oregano in a saucepan over a high heat. Add carrots bring back to boil and lower heat slightly, cook for 5 minutes. Stir in jalapeno and remove the pan from heat. Pack carrots and jalapeno in sterilised jars using tongs. Cover with vinegar mix or put in sterilised storage container and keep in the refrigerator. These look great! What sort of affect does pickling have on the jalapenos? Does it alter the flavor or the heat at all? Thanks! Billy – thanks for your question – I will check with Carol and report back once I hear from her.